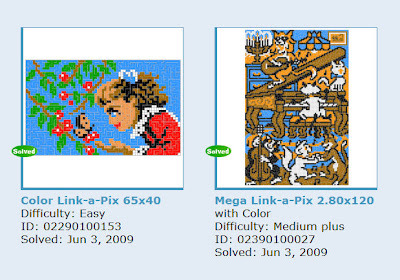 Now that I have no obligations regarding work, I don't have to feel guilty about solving puzzles. 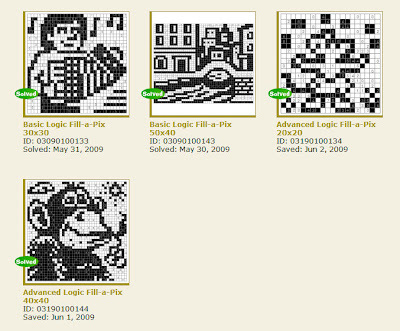 My favourite puzzles are Pic-A-Pix and that is why even these six were not enough for this week. 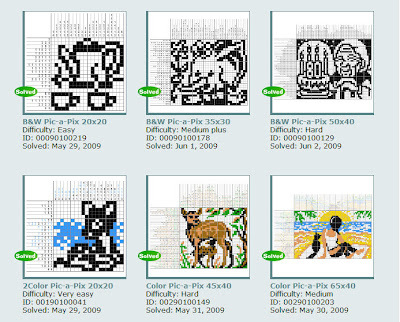 So I had to turn to the Link-A-Pix puzzles which normally are too easy for me. There was this one MegaLAP and I thought I would solve it. 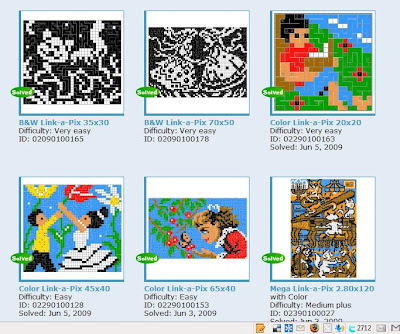 After solving that I remembered how nice pictures they have and decided to try some more and as I went backwards from the biggest to the smallest, I noticed that I still had time for more... ending up solving them all before the new update.